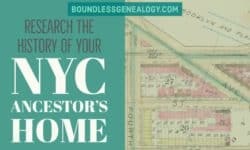 Do you have an ancestor that died in one of the five boroughs that make up New York City? Have you found them in the New York Death Index available on Ancestry.com? 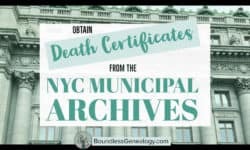 Let me show you how to navigate from the online index to obtaining a copy of the original death certificate. 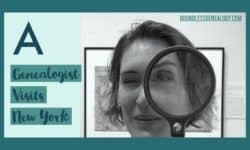 Do you find every aspect of your ancestor’s life fascinating like I do? From the occupation they practiced, to the type of clothes they wore, to the food they ate and the home they lived in, I really enjoy learning every detail I can about how my ancestors lived. 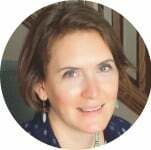 When I was in NYC on my recent trip, I had the chance to dig a little deeper into the way our NYC Finlay cousins lived in Brooklyn from the 1850s-1920s. I received a wonderful, last minute opportunity to travel to New York City with my husband for his business trip the week before Thanksgiving. Of course, I wanted to sight-see and do all the typical first-timer tourist things. But, I also wanted to make my trip personalized by focusing on genealogy research opportunities available in the city. After all, my husband would be working a large part of the time, so I could enjoy some uninterrupted family history pursuits. Here are some highlights from my amazing visit in NYC.